The Creature of Clevedon Lagoon…. 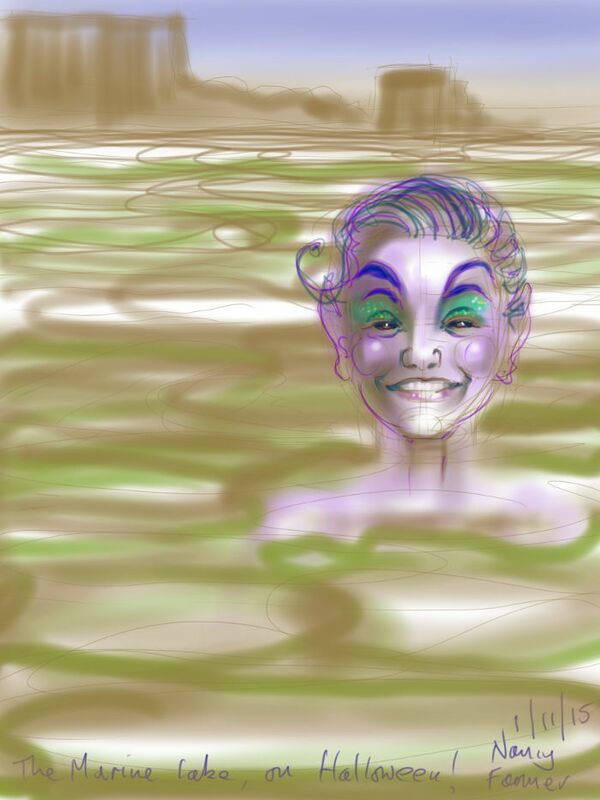 Our swim in the Marine Lake at Clevedon yesterday really did deserve a quick sketch, not only because it was so lovely to be back in there after its months’ long refurbishment, but also because of the very strange creature that we encountered there. I do not know if this creature was out to catch a Halloween breakfast, or woke up a night early and thought she’d hang around… Seemed friendly enough, but one can never tell, with sea-creature types. This entry was posted in swimming and tagged art, Clevedon, Clevedon Marine Lake, open water swimming, sea monster, Siren, sketch, swimming on November 1, 2015 by Nancy Farmer.